Item # 315092 Stash Points: 395 (?) This is the number of points you get in The Zumiez Stash for purchasing this item. Stash points are redeemable for exclusive rewards only available to Zumiez Stash members. To redeem your points check out the rewards catalog on thestash.zumiez.com. Show your Loser Machine support by sticking the Glory Bound sticker to any smooth surface. A fierce eagle is perched atop a Loser Machine scroll for a dramatic addition to any of your personal items. Glory Bound Sticker from Loser Machine. 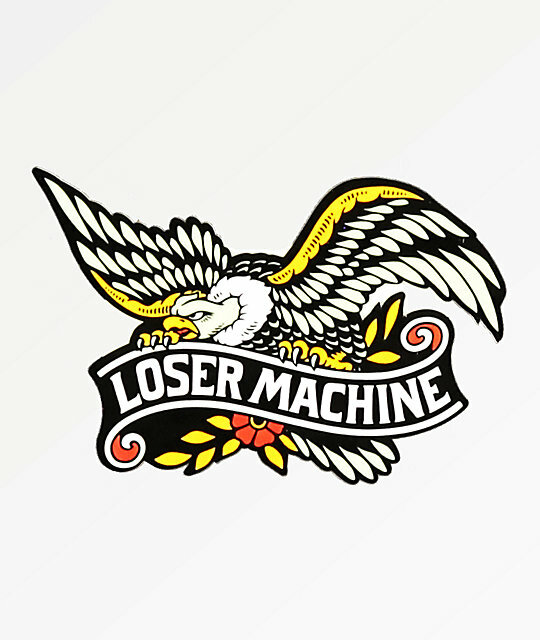 Eagle perched on Loser Machine text graphic. 2.75" x 2" | 7cm x 5cm (approx. ).